During Memorial Day weekend, we look for good deals, enjoy the long break from work, and honor the fallen soldiers. In Ellicott City, Maryland, Turf Valley Resort does all three. 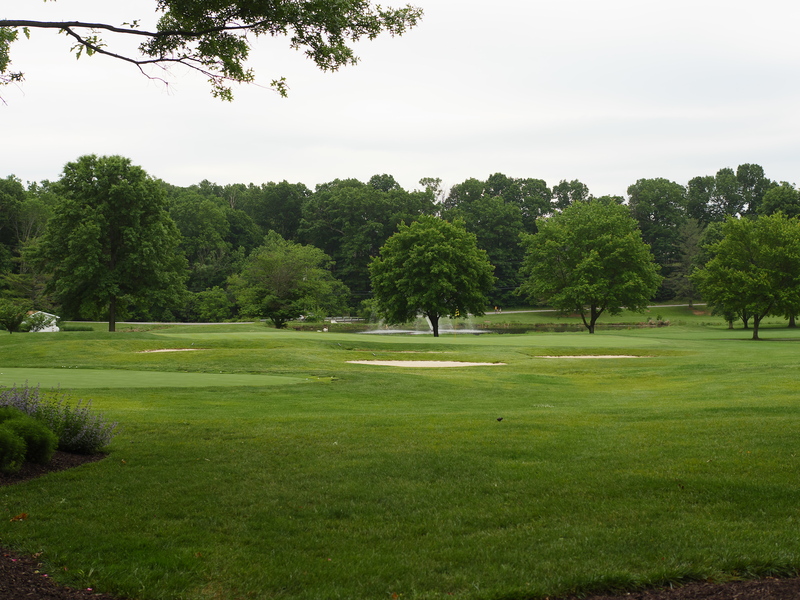 With affordable Memorial Day packages, Turf Valley Resort has a private golf course, three tennis courts, two pools, a volleyball court, and more to help you relax, while being conveniently located to Washington DC, Baltimore, and Annapolis. You can also dine at the delicious Alexandra’s American Fusion Restaurant, which has a special table set up to honor the fallen soldiers. At Turf Valley Resort, your East Coast Memorial Day Weekend Getaway includes great deals and good food. As you dine, Alexandra’s American Fusion Restaurant offers a tribute to the fallen soldiers. If you are looking for an East Coast Memorial Day Weekend Getaway, you’re in the right place. Located in beautiful Howard County, Maryland, Turf Valley Resort is a relaxing destination. Whether you visit the pools, go golfing, or play tennis, the resort offers activities the whole family can enjoy. For a weekend getaway, Turf Valley Resort invited my family to check out the resort’s Memorial Day 2017 hotel package. In the package, you get a two night stay with breakfast. My children couldn’t wait to check out the room. To accommodate our family of four, we stayed in the spacious King Executive Suite. At Turf Valley Resort, the King Executive Suite is spacious enough for a family of four. With the package, we received vouchers for the All American Breakfast at Alexandra’s American Fusion Restaurant. The first day we stayed, this included a buffet with waffles, fresh fruit, sausage, potatoes, a custom-made omelet station and more. Enjoy the buffet at Alexandra’s American Fusion Restaurant, while looking out at the patio for a serene view. Looking out at the patio, our breakfast was a relaxing experience. Everyone enjoyed the all you can eat aspect. Not only was my freshly made omelet delicious, but the window view helped us unwind during our meal. During our Memorial Day weekend getaway, the children enjoyed everything, including the food. When the buffet isn’t out, the restaurant serves a meal called the All-American Breakfast. On my second morning, I ordered the All-American Breakfast meal, and I enjoyed it. You can check out my live Facebook video from the patio, where I went after breakfast to talk about some reasons to visit the resort. After breakfast, the first place the children wanted to visit was the playground. I liked that the children had a simple activity to do that didn’t involve a lot of preparation. Without grabbing our tennis rackets or changing into swimsuits, my daughters had a lot of fun. At the playground, children enjoy themselves. Another advantage of the playground is that it is next to the outdoor swimming pool, the tennis courts and the volleyball court. Your family can do different activities, while staying in the same area. Situated next to the outdoor pool, the playground is also conveniently located to the three tennis courts. Below, you can see the outdoor pool area with the adjacent playground in the upper right hand corner. I liked the size of the pool, which was much less busy than the indoor pool because of the chilly weather. If you want affordable food during your swim, order at the snack bar. You can get snowballs, hot dogs, and more. For nicer food, you can also request take out food from Alexandra’s American Fusion Restaurant to be delivered to the pool. At Turf Valley Resort’s outdoor pool, you can order food and enjoy the day relaxing by the water. One of my favorite parts of the resort was the tennis courts. With three tennis courts, you can always find one empty. During our stay, we visited during a busy time, but we always found space to play tennis. With three tennis courts, a volleyball court, and more, families can find plenty to do. The far tennis court was especially tranquil. You can only hear birds chirping and your family’s chatter, with no additional distractions. Since no one was waiting to use our tennis court, we could play as long as we wanted. Another way to stay active during your visit is to stop by the gym. You can find many treadmills and weightlifting equipment. Looking for ideas of what you can do in the area? In Turf Valley Towne Square, you can find plenty to do, and it’s all a long walk from the resort (or a short drive). You can spend an evening painting at Pinot’s Palette. Get your essentials at the nearby supermarket and go out to eat at the nice nearby restaurants. Throughout the summer, you can go to the Thursday Night Summer Concert Series. In Howard County, you can check out Larriland Farm, Clark’s Elioak Farm, and Patapsco Valley State Park. The resort isn’t far from The Snowball Stand in Woodstock, Maryland, but you can also get snowballs at the pool. Other local attractions include the B&O Railroad, Centennial Park Columbia Lakefront, the Merriweather Post Pavilion, and the Howard County Conservancy. Located a little further from the area, you can visit the Maryland Zoo, Port Discovery, and Little Italy in Baltimore as well as Medieval Times at the Arundel Mills Mall. Although you can find plenty to do in the area, staying at the resort is a relaxing experience. Check out my quick video that highlights all there is to do here. You can also check out all the spa has to offer. Although I didn’t visit the spa during this stay, I have before, and I had an excellent experience. With a 1000 acre golf course, the tranquil view makes Turf Valley Resort a relaxing getaway. With two golf courses that offer 36 holes of championship golf, the hotel is perfect for golf enthusiasts. With beautiful scenery, the 1000 acre golf course is very private. At the Turf Valley Resort golf course, you can spot two beautiful swans. Whether or not you play, the view of the golf course is gorgeous. Families can enjoy the view of the golf course from the restaurant patio. If you are looking to escape your busy life and take a weekend getaway from New York City or another busy East Coast town, Turf Valley Resort in Ellicott City, Maryland offers relaxation for the entire family. During our visit, we ate dinner at Alexandra’s American Fusion Restaurant. Choosing from the delicious restaurant selections was the most difficult part of our visit. From the classic crab cake to the delicious macaroni, the food is all well worth ordering during your visit. Choosing which dinner item to order was the most difficult part of our visit. We decided to order some classic, family friendly selections. Although you can find some exquisite dishes for a date night out, our family friendly weekend getaway called for affordable food choices that any family could enjoy. One of our favorite choices is the hamburger, which has a classic, delicious flavor. Not only is the Wagyu beef made with good quality meat, but the sauce and toasted brioche bun are also good. Since Maryland is known for its seaside views, I ordered the fish and chips. My whole family was excited to try some. For a smaller meal, you can order the tasting plate, but to have enough to share (and have leftovers), I ordered to full-sized plate. Crispy on the outside, the fish tasted incredible dipped in the sauce. The french fries were perfect after our active day playing tennis and swimming. For dessert, we ordered the Chocolate Turtle Lava Cake. My daughter was so certain she could eat a whole one that she called herself a Lava Cake Viking. With salted caramel ice cream and praline caramel on the side, the chocolatey dessert was almost too good to share, but I ended up taking a few bites. All of the flavors came together to make a rich and incredible flavor. Another nice part about dining at Alexandra’s is that you can listen to live music. During Memorial Day weekend, many people came out to listen to Don Bellew and his classic acoustic tunes. You can also catch live music during the Sunday brunch. While the Memorial Day weekend getaway special was a great deal for a family, you can find some other good packages for the summer. For a special weekend away without the children, check out the Couple’s Golf & Spa Overnight Getaway. Military families get a special deal with the Military Appreciation Package. From June 12 to June 16, Alexandra’s American Fusion Restaurant offers special deals during its Teacher Appreciation Week. You can get half priced appetizers and half priced tasting plates all day! Simply show your teacher ID. All in all, we had a wonderful weekend getaway at Turf Valley Resort. With plenty of outdoor space, pools, and great food to enjoy, the whole family was happy. You can learn more about Turf Valley Resort on their Facebook, Twitter, and Instagram page. If you live on the East Coast, what is your favorite weekend getaway? Share in the comments! This place looks awesome!! I had never heard of it before. Thanks for sharing! The food looked delicious too. Thanks, and yes, their restaurant is really good! Wow! Looks like such a beautiful place to stay! That pool looks amazing and all the food looks so delicious. Absolutely, it was a really relaxing experience! I’ve never heard of Turf Valley before, but it sounds like you all had a blast. I’ll have to check out Turf Valley. I’m glad you enjoyed learning about it! Looks like heaps of fun!! I love a good little weekend getaway and I haven’t been here before! Great pictures! The girls are adorable! I have a feeling that we’d spend most of our time at that HUGE pool! Looks fun and is making me long for vacation! I think this looks like an awesome get away. I love that you included future events so that we can look into trying it out ourselves. I want a piece of that chocolate lava turtle cake! Wow what an awesome get away. I would love to do something like this for a weekend. Looks relaxing too! It looks like you and your family had a wonderful holiday weekend. I’ve never heard of Memorial Day packages like this before. Very neat. I love staying in places that include free breakfast, and that has a lot of amenities for our family. That pool is amazing! Oh that dessert looks amazing! I never would have thought to look for memorial weekend packages! What a brilliant idea and I am sad I missed out! Looks like you found a great place and I am glad you shared it, as now I will keep it in mind for next year! Never been to Maryland, but I have friends who go all the time! Its sounds like a really fabulous place for a weekend getaway! And yum about those fish & chips! It’s a lot of fun, and the food was great! I love resorts that are family friendly! It looks like you guys had so much fun. Also, I love that this is on the East Coast and would make a great road trip for us. That wagyu burger looks incredible! What a fun family getaway! My son would love the pool area! I’d love to explore Little Italy! What a fun little getaway! I love that you can just order food at the pool and lounge around all day – that would be awesome! This is so close to us and perfect for a quick getaway! I need to look into this more, thank you! This does look like a fun place to stay. My husband would love the golf course. I would love the spa. It’s a win-win for us both! It’s​ a place worth going to especially if you’re in desperate need of some rest and relaxation. I love that there’s a breakfast buffet. The view is beautiful. I would love to stay here someday soon. We used to go away every Memorial Day weekend and we always looked for places that had something to do for everyone. This resort looks like the perfect place to relax and be active at the same time. I love short breaks and anywhere that caters so well to children are always a bit hit with us! Sounds like a good weekend getaway. This place looks like everything any family would want on a weekend getaway. The playground on site is really cool too! What a fun little getaway. I would totally love to check out that place in Alexandria. It’s one of my fave towns! This looks like a fun family friendly place to spend the memorial day weekend! Looks like you guys had lots of fun! This looks like a great family getaway with so many activities for kids! The food looks so good! Looks like you had your family had tons of fun! Wow this place looks amazing! I would love to visit here with my whole family next year! We’re always looking for fun spots. It sounds like you had a great getaway and there really was lots to keep you busy (and full too!). It seems like a fab package for Memorial Day. Oooooo what a fabulous resort!!! I can totally see why your family had a great time. So much to do! Wow, what an awesome trip! The photos say it all! Looks like you had a great time. This looks like it was such an amazing weekend. It’s always nice to get away and to take a load off! Woah! It looks absolutely beautiful there! And the food looks delicous!